When you begin planning for the start of a food truck business, you need to understand the various expenses you’ll need to plan for. Even if you have previous experience in the food service industry, you probably aren’t aware of all the things you’ll need to plan for when it comes to operating a food truck. Because of the difference in the businesses, consider the following expenses when you start planning your new food truck budgeting. There are a lot of things you’ll need to purchase up front that aren’t cheap. First and foremost, you’ll need a truck. These can cost anywhere from $10,000 – $150,000 for a used truck to over $200,000 for a completely new custom vehicle. After you have your truck, you’ll need to outfit it with the equipment you need to cook the food you plan to sell. If you’re selling pizza, you’re going to need some ovens and prep tables. However, if you’re selling ice cream or shaved ice, freezers will be key components. You’ll need to make sure you budget for all the legal requirements to operate a food truck. This will include city, country, and/or state permits. These permits cost varying amounts, depending on where you operate, so make sure to check with every municipality to plan to operate in to know the exact amount and how often those payments need to be made. On top of your operational permits, you will need to account for insurance. Most municipalities require some sort of insurance for your mobile food business. The specific type and amount of insurance you have varies by state and city as well. Plus, you may decide that you want extra coverage that isn’t required. Talk to your insurance agent to make sure you have accounted for the coverage you need. There are a number of ongoing costs you’ll need to budget as well. Are you paying employees? You’ll have to budget payroll. Purchasing ingredients is crucial, because if you don’t have these, you don’t have a product to sell. You’ll need to purchase paper products. What you need again depends on what you’re selling. However, a good start is plates, cups, napkins, and plastic silverware. You’ll buy these items regularly, since they’re used by your customers every time they show up at your food truck’s service window. Other costs will occur frequently that you’ll need to budget. 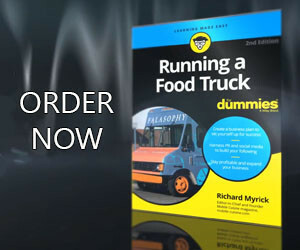 One of the most expensive things you’ll need to think about the cost to fuel your food truck. Depending on how often you move the truck every day, you may find yourself going through a full tank quite often. This won’t be a monthly cost, it will in all likelihood be a weekly or even daily, cost. These items are critical to account for so you don’t have to spend time that could be spent on the road, in a mechanic’s bay. 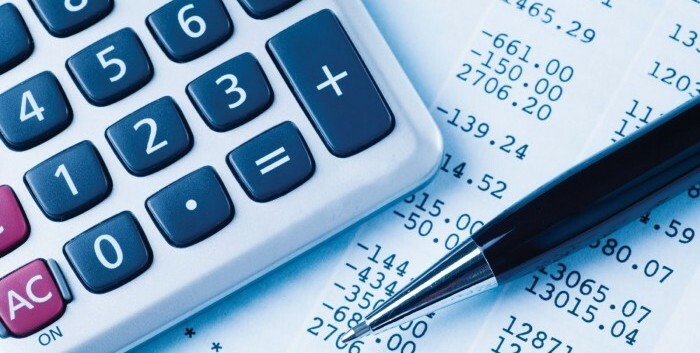 It’s extremely important that your food truck budgeting includes extra expenses. If you don’t, you’ll be scrambling when problems come up. Consider adding an extra 5-10 percent of your budget each month for unexpected happenings. This gives you a buffer if there’s a problem. Some things to consider are extremely large repairs to the truck or equipment, having to hire a new employee, legal fees, and more. Each of these can cause a lot of trouble if you haven’t put money aside for problems. I have never suggested that running a food truck is an easy job, but over the years of covering this industry, I can tell you it is extremely rewarding. If you carefully develop a budget for your food truck before you ever get on the road, you’ll have a much better chance of success. Is Your Food Truck Concept Feasible?